Beautiful apartment in villa with garden for exclusive use in the central area and at the same time very quiet. 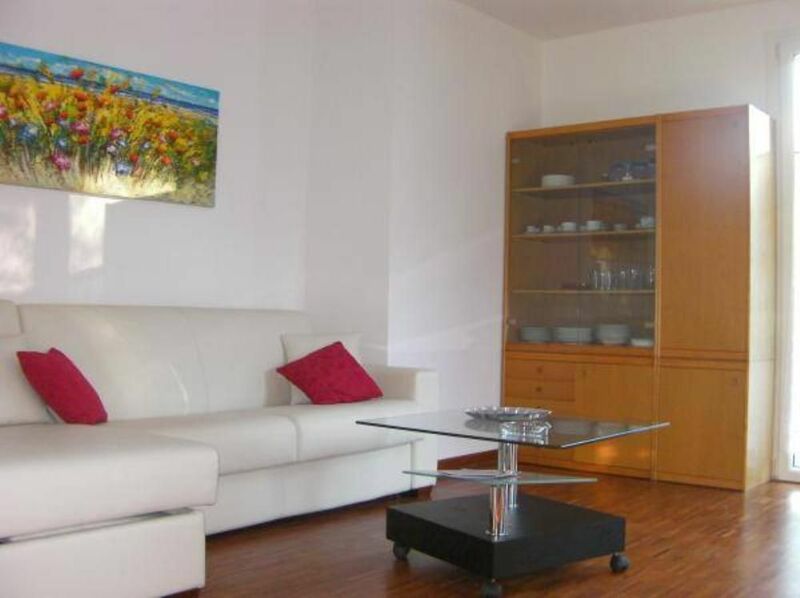 The apartment is furnished with modern furniture, is located on the ground floor of the house, is located in the town center with the ability to usuffruire easy walking distance of all amenities, shops, bars, train, ship, restaurants. The garden is bordered by large park, with partial lake view. 1 living room with sofa bed, kitchenette. Outside there is a gazebo with table and chairs for outdoor dining, sun beds for sunbathing. Two beautiful beaches offer the chance to enjoy the beach life with all water sports. The nearby mountain allows you to take long walks. Ideal starting point for boat trips to visit the famous countries bordering on Lake Como as Bellagio, Varenna, Menaggio, Como. All services are in the 200 meters, the lake, shops, restaurants, railway station, post office, bank, town, church, boat mooring and navigation of the lake. Famous restaurants where you can taste local dishes and national level. Sehr gut eingerichtete neue ferienwohnung mit kleinen Garten und Terrasse, was den fehlenden Seeblick fast vergessen lässt. Die Bahn stört kaum merklich, da nachts kein betrieb erfolgt. Francesca kümmert sich um jeden Wunsch sehr zuvorkommend. Idealer Aufenthaltsort am comersee mit kleinem Strand 10 min Zu Fuß spaggia Bianca. Vor Ort sind direkte Wanderungen in die Berge oder oberhalb des Sees nach varenna gut möglich. Bahnhof und bootsanleger 5min zu Fuß. Gut geeignet für einen Urlaub ohne Auto. Ospiti gentilissimi, simpatici, discreti. Appartamento lasciato in ordine e pulito. E bello ospitare persone cosi! Take the direction of Lecco, exit Abbey, Mandello, Varenna, third country Lierna you're there. Boat trips on Lake Como to visit the splendite villas on the lake to Varenna, Bellagio, Menaggio, Como, Lecco, visit Bergamo, Milan, Venice day by train. Tasting fish from the lake. The owner will advise characteristic places to visit and restaurants to taste the local cuisine. Tariffe scontate in relazione alla durata, Tariffe in funzione del numero di persone, Deposito cauzionale, Caparra richiesta alla prenotazione, Consegna delle chiavi da parte del Proprietario non soggiornante in loco ma vicino.